The mark of a Samurai was the set of weapons which he carried and went into war with – katana, wakizashi and tanto. Each weapon served its purpose according to the fighting conditions of the Samurai’s battleground whether it was close quarters or open battle. 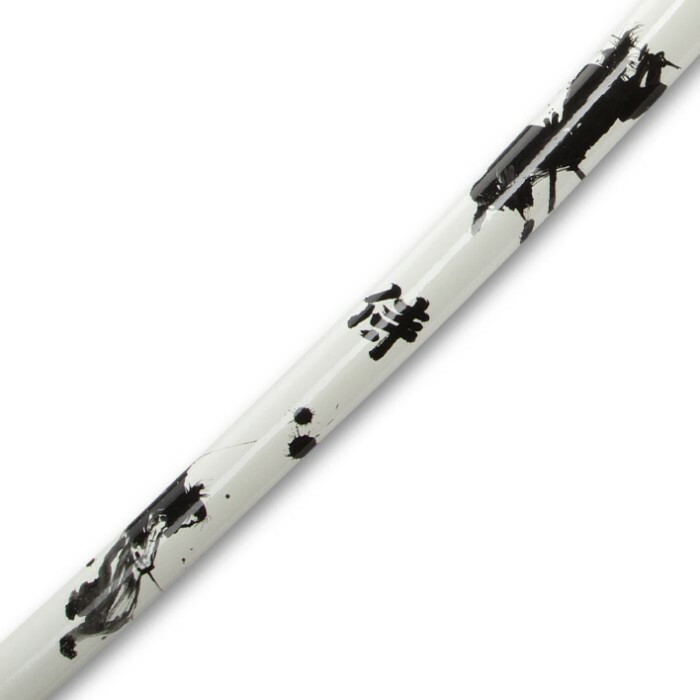 Our Kojiro Shadow Warrior display set features one-of-a-kind scabbard artwork reminiscent of traditional Japanese watercolor. 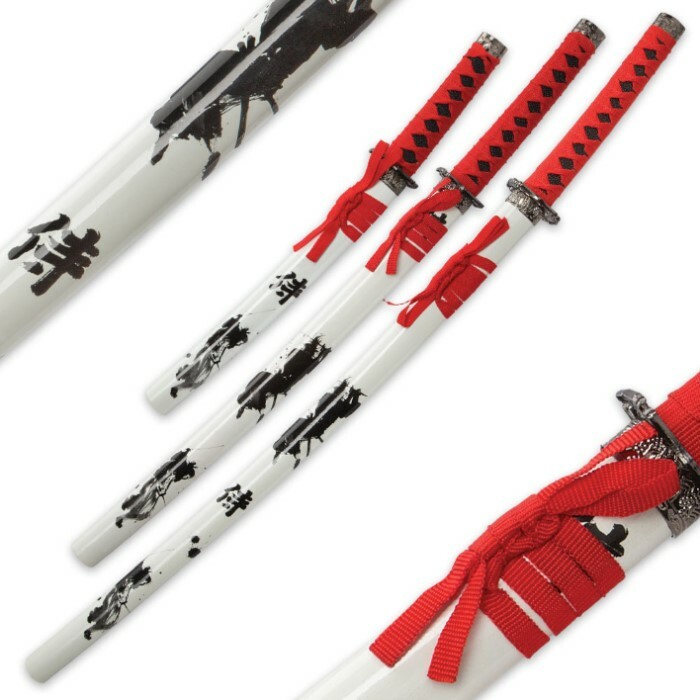 The white, lacquered wooden scabbards have contrasting black Samurai warriors posed in battle stances. The wooden handles are traditionally wrapped in faux ray skin and red cord. 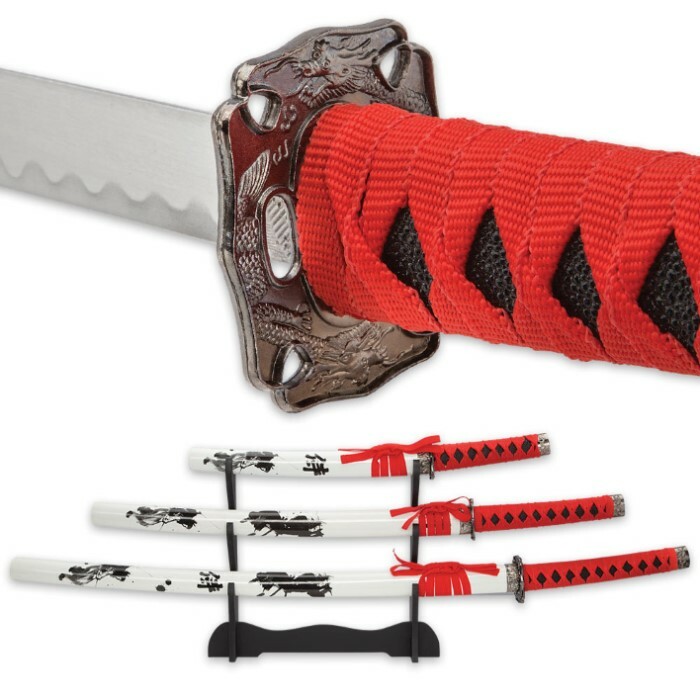 The metal alloy tsubas and pommels have a finely detailed, fierce dragon design and each blade is made of carbon steel with display edges. 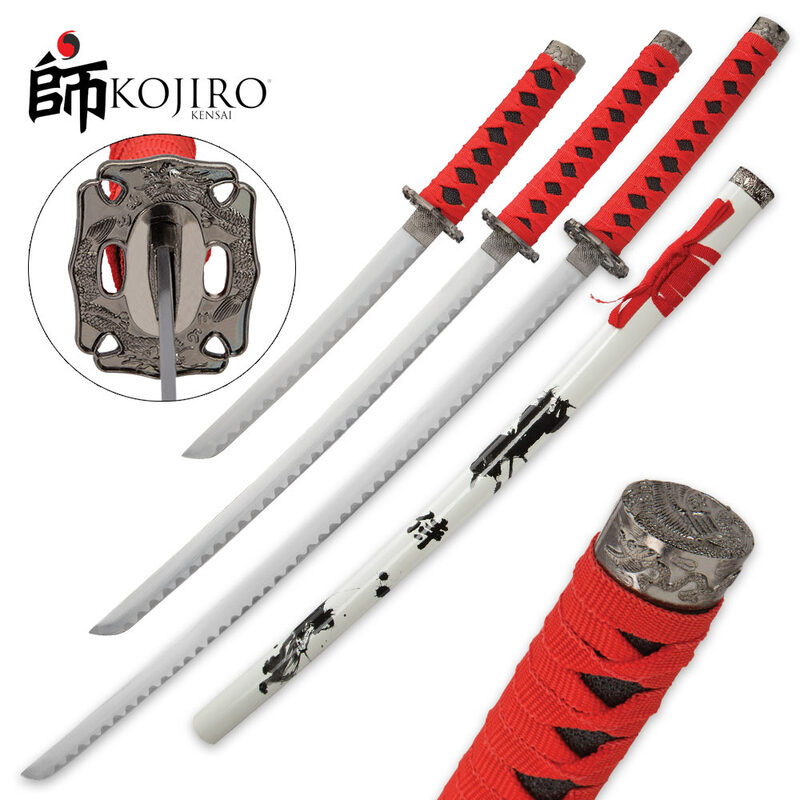 A premium wooden display stand is included to hold the entire set of swords.